Fiction pieces that clock in under a thousand words are not entirely new, but their popularity and prevalence are growing. Many readers unfamiliar with the “flash” terminology may think of Hemingway’s single-incident shorts. Since the 80s, flash seems to have stepped up, taken more seriously as a genre by both writers and critics—consider Raymond Carver, Lydia Davis, and the publication of the anthology Sudden Fiction, which collects over 70 American works of “short-short” fiction. The momentum behind flash continues to grow, as readers can find it all over the internet, in magazines as long-standing as The New Yorker, and in new anthologies and publications. In fact, last year Persea Books published an anthology of short-short fiction called Short, which chronicles the form over the last five centuries. However, flash is still new to many. The term wasn’t even coined until 1992, with the publishing of an anthology called, Flash Fiction: 72 Very Short Stories. As much as it is about actually writing flash fiction, Hauck’s workshop is also a venue to discuss, analyze, and weigh in on the nature and boundaries of the genre. Individuals in the workshop vary greatly in familiarity with the genre, age, and occupation, creating a layer of diversity in the classroom. Although it seems that teaching and journalism are the types of jobs that lend themselves to the writing life, these writers, along with many we read in the workshop, work in very different settings. A construction executive writes and reads next to a server, who sits next to an employee at the Department of Public Welfare. In this workshop, there are highschool students writing beside professors and retired writers. One author we’ve studied, Ian Woolen, works as a psychotherapist and still finds the time to not only write, but publish and work on literary magazines. Regardless of day-job, writers everywhere will tell you that there is no better way to get yourself writing than to take a class or join a workshop. Hauck actually decided to do the flash workshop for two reasons, saying, “I wanted to study some quicker routes to publication, and I really just missed workshopping.” The discussion, community, and feedback that comes from a workshop class have generative and, dare I say, inspirational effects on its participants. To read one of Hauck’s own flash pieces, check out his story “Where the Pop Machine Rattles” over at the Molotov Cocktail. He’s also been published in Penduline Press and The Rusty Nail. His nonfiction can be found online at Ploughshares, TINGE Magazine, and The Review Review. 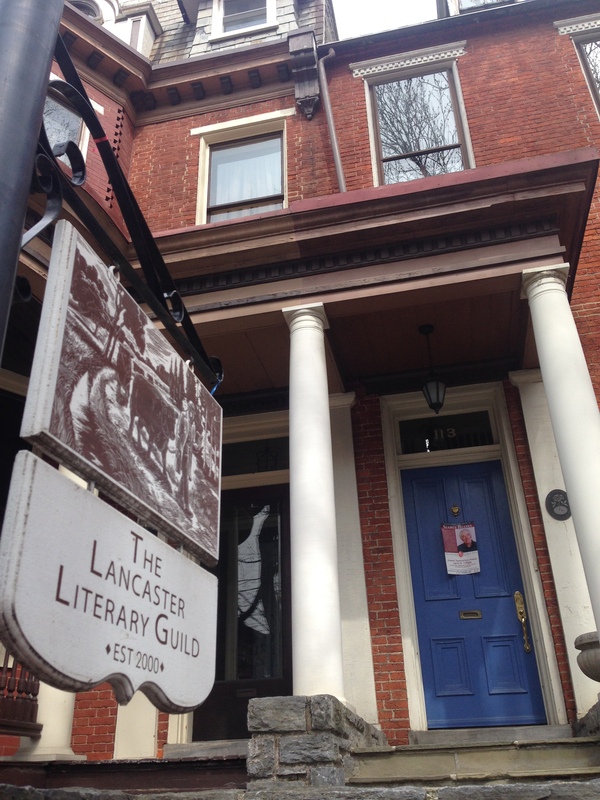 For more on the Literary Guild’s workshops and other events, check out their calendar.